Kanye West’s music career has seen him play a variety of roles on stage and behind the scenes, including that of critically-acclaimed music producer. Much of his work is influenced by and features African American musicians who helped define musical genres. West’s creative approach to vocal sampling, in particular, has become a signature element to a Kanye track. Going through West’s production discography, it doesn’t take long to find connections to the Museum's Music & Performing Arts Collection and inaugural exhibition, Musical Crossroads. One of the most signature sonic relationships in hip-hop is that of Kanye West and Common. West’s production is all over Common’s sixth studio album, Be. In addition to samples from "You Make the Sun Shine" by The Temprees and "What It Is" by The Temptations (and vocals from West), the album’s second single “The Corner” features Umar Bin Hassan of The Last Poets. Co-written with fellow The Last Poets member Abiodun Oyewole, Hassan’s spoken word verses are beautifully woven into the song, and provide a vivid additional narrative. By including The Last Poets, Common and West take the idea of sampling one step further, and provide an opportunity for voices that helped create hip-hop to be heard by a new audience. Captivating multiple generations of visitors is one goal of The Neighborhood Record Store section of Musical Crossroads, where visitors can listen to and learn about “The Corner,” among many other songs. In addition, the Museum's collection includes donations from many members of The Last Poets, and objects from Hassan and Oyewole are currently on display. "He had the organic feel, but still the sonics would break through, and he could give you a warm sound that still cut through speakers. It's like he was making Quincy Jones production sessions just inside of his MPC. Most producers that can make music that knocks, which is like 90% of producers can make things that knock, especially with Fruity Loops and all that, the sound is usually colder. And then my sound is gonna be very colorful and warm, but sometimes I'd challenged on my mixes that everything didn't knock as hard as I wanted to. But Dilla, every time, that kick just sat so perfectly." J Dilla’s prized MPC is on display in the Museum's Musical Crossroads, and while standing in front of the case, West recalled the magic that came out of it. Many producers use influences and moments from the past to create brand new sounds and experiences. 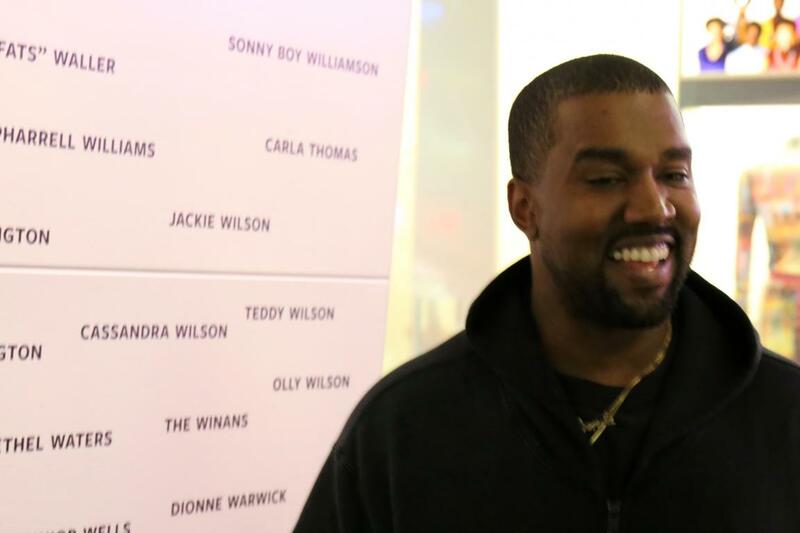 Dig through the crates on crates on crates of work by Kanye West, and there is a treasure trove of connections to many of the stories told throughout the Museum.